Bluetech and Ace Ventura & Lish. 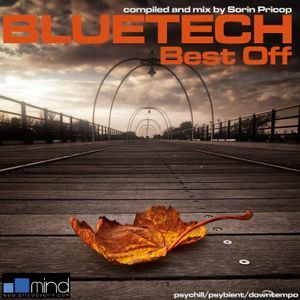 Evan Bluetech has long established himself as one of the leading artists in the Downtempo and Chillout world. Operating for years out of the west coast of America, and recently moving to Hawaii, Bluetech has been spreading his unique vision of Downtempo Electronica, combining dubby beats with his distinct spacey atmosphere, and sublime melodies. Classically trained on the piano for public performing, Evan deviated from the traditional structure of classical music and being to relearn the instrument from an energetic and tonal perspective. This resulted in his interpretation of nature&apos;s expression of being, establishing a playing style that is dronal ambient, downtempo and improvisational. Great stuff! Absolutely love Evans sound. Fresh and original. Love the industrial psybient (whateva ;))....its bloody lovely! Is his new album around? Heard bits n pieces.